Arlene Turner-Crawford, '71, is this year's NIU Alumni Achievement in the Arts Award winner. 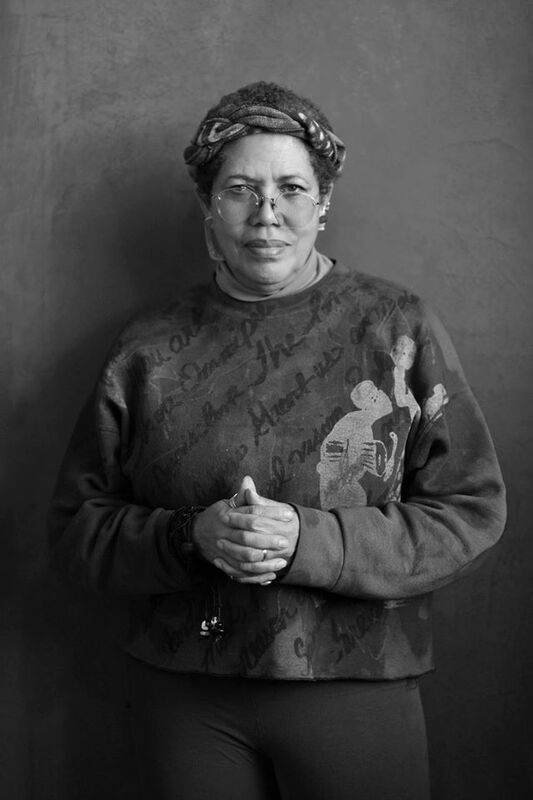 It is because of this connection to NIU through her contributions in the fields of art, community building, and social activism that the NIU Alumni Association has chosen Turner-Crawford for the 2019 Alumni Award for Achievement in the Arts. Turner-Crawford first fell in love with art as an elementary school student. “When I was quite young, I found some drawings my mother had done when she was in high school and I remember thinking I wanted to draw like that,” Turner-Crawford said. As a child, Turner-Crawford met the legendary Chicago artist and teacher Dr. Margaret T. Burroughs, who co-founded what is now known as the DuSable Museum of African American History. That meeting, between third-grade student Turner-Crawford and Burroughs, made an enormous impact on Turner-Crawford that would last a lifetime. Turner-Crawford continued to pursue art in high school and spent time visiting the Art Institute of Chicago and the South Side Community Art Center, and by the time she was a senior, she said, she decided she wanted to major in art in college. Turner-Crawford remembers that she transferred to NIU in the fall of 1967 and lived off campus her entire time at NIU. Turner-Crawford described what it was like being on a college campus in the late 1960s and early 1970s as black students took on issues including the lack of black faculty at NIU. The hiring of black art faculty members Nelson Stevens and Grace Hampton-Porter, following a student protest and sit-in at Altgeld Hall, was a turning point in her role as an artist, Turner-Crawford said. She described Nelson Stevens as her mentor. Turner-Crawford also enjoyed Richard Long’s art classes at NIU. printmaking at the University of Massachusetts at Amherst. She received a Master of Arts degree in Education from the Herron School of Art at IUPUI (Indiana University/Purdue University Indianapolis) in 1977. Since her time at NIU, Turner-Crawford has become an artist of renown in a variety of media. This year, her art is featured at the Museum of Science & Industry in Chicago as part of its “Black Creativity Juried Art Exhibition.” Last year, Turner-Crawford’s art was included in “The Time is Now! Art Worlds of Chicago’s South Side 1960-1980,”an exhibit at the Smart Museum of Art at the University of Chicago. These were just two of the many exhibitions and shows Turner-Crawford has participated in over her decades as an artist. University in Chicago, where she served as part-time faculty from 1988 to 2011, and served on staff as senior program associate for retention and unit head of student/cultural affairs.